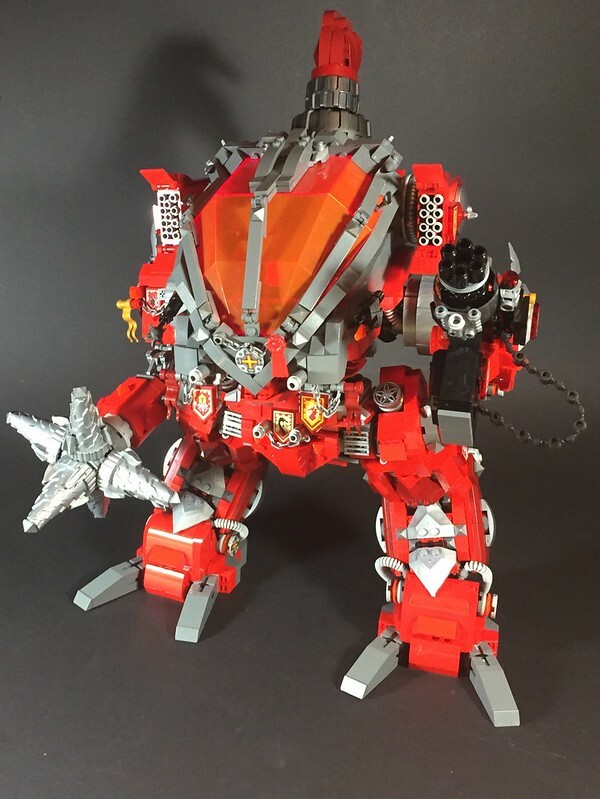 I had the pleasure of seeing this beast by builder onosendai2600 in person at BrickCon this year where it won the "Most Stompy" trophy. It was part of a larger collaborative Nexo Knight display that was a real crowd pleaser. With it's spinning mace arm this thing looked capable of annihilating everything on the table with it.